Dubai's history is well documented in a number of interesting museums. Here's a list of the different museum attractions you'll want to visit in Dubai. 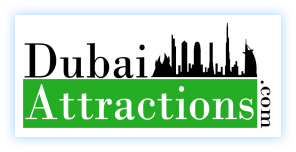 This link will take you to more videos of Dubai's museums. A visit to any destination is enhanced by understanding its history. Dubai's museums take you through the years on a cultural journey which illustrates its history and beginnings. There is a great deal of history in the city of Dubai, although today it appears as a cosmopolitan city of the future, there has been some form of settlement here for the past 200 years. Dubai Creek or The Creek as it is known locally is a natural inlet of sea water which slices through the very heart of the city. If you stroll along the banks you will get a strong feel of the history and flavour of what life used to be like here in Dubai. The banks of this creek were where many traders would sell fish, fruit and other goods to the people of Dubai Town, and you will see that even today many dhows still sail up and down here selling or trading materials to anyone that may be interested in buying. A visit to the Dubai Museum is a must if you want to capture the real historical essence of Dubai. It is located in Al Fahidi Fort, which is in itself a very historical place to visit. Al Fahidi Fort was built in 1799 and it was erected to keep out invaders from foreign lands, and the waters and seas around this region have always been popular for sailors good and bad over the years. If you get the opportunity you should pay a visit to an old school built just over a hundred years ago in 1912, called Al Ahmadiya. In fact, this famous school is the very first to have been given full time status in Dubai. You will see old traditional classes preserved with the palm tree leaves that were used as mats by the children to sit on while they learned excerpts from the Quran. The first ever office building in Dubai was built in 1934 by the recently deceased Sheikh Rashid bin Saeed Al Maktoum, and called the Bait Al Wakeel. You will find it located at the edge of the Creek, where you’ll see it has recently been restored to its former full glory. The Bin Muzaina House can be found right opposite the Al Ahmadiya School where you will see parts of the house and courtyard areas are dated back to the 1880s. As well as the old fort that was built to protect outsiders from invasion there were some watchtowers and one such tower still stands proud today, despite being erected back in 1870. The Burj Nahar is now surrounding by a pleasant garden area where photographers and sightseers regularly descend to get a feel for the magic of this historical monument. The Majlis Ghorfat Um-Al Sheif has now stood proudly for over half a century and is a stately home which was once used as a place where the recently departed Sheikh Rashid Bin Saeed Al Maktoum would spend his annual vacation here.